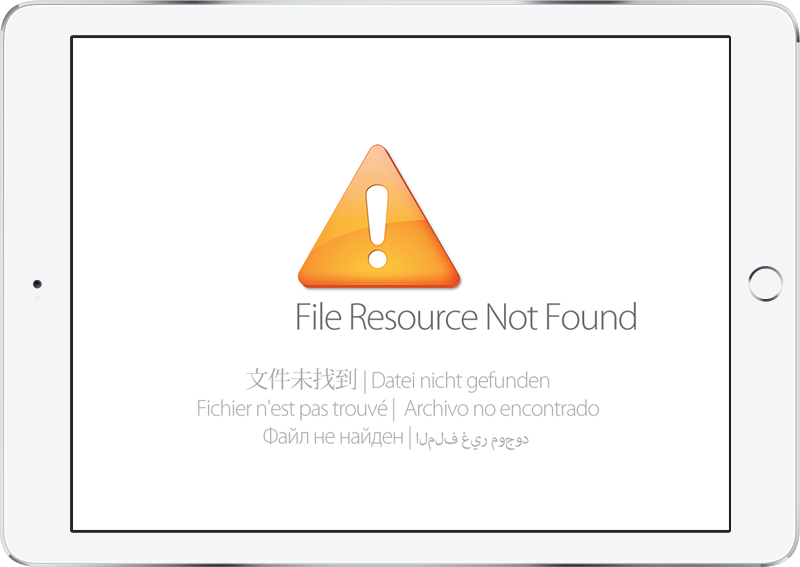 If Kiosk Pro is unable to find the file you are directing it to, it will display the default 'File Resource Not Found' page shown below. While this is likely to be an infrequent occurrence in a tested and deployed kiosk situation, it could happen, for example, if a remote server hosting your content went down. In our Basic, Plus and Enterprise versions, you can set your own custom page to be shown if you prefer. Note: The previous method of setting a custom image using the 'KioskAssets' folder will still be supported for users who already had this set up.